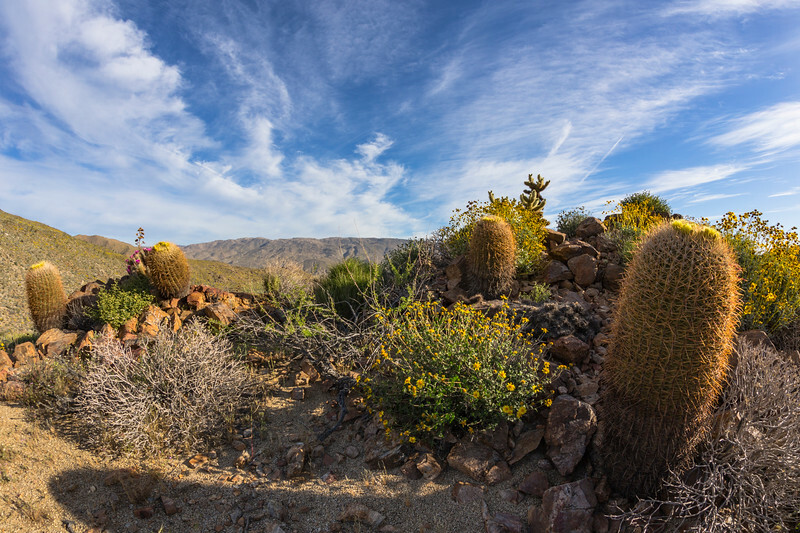 The morning sun makes the colors glow at an epic location in Anza-Borrego Desert State Park. The area looks as if it were designed by a landscape architect. Here you can see the following blooms: cholla, barrel cactus, brittlebush, and agave among some interesting rocks. Shot with a Canon 6D and Sigma 15mm lens at 1/400 sec f/9 ISO 50.